These days, the top place to rock is the Hard Rock Cafe San Francisco. Where else can you eat the tastiest burger in town while perusing musical artifacts and treasures? 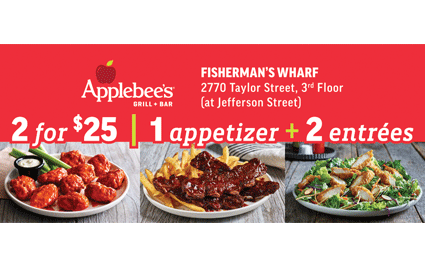 Present this offer and receive a complimentary Kids Meal with the purchase of two adult entrees. Cannot be combined with any other discount or promotional offer. One (1) coupon per party per visit. Must be redeemed during the same visit as the qualifying purchase. 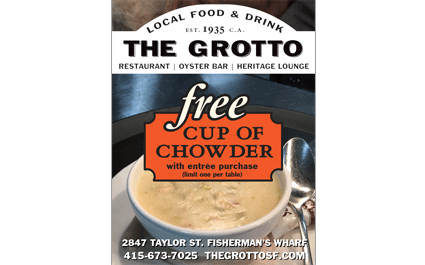 Only valid at San Francisco location. Some exclusions may apply. See associate for details. Offer expires 12/31/17. 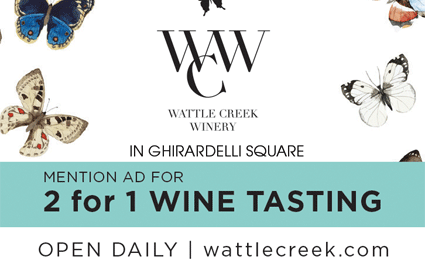 The Wattle Creek Winery tasting room is dedicated to bringing the wine country experience to guests and visitors of San Francisco. The Tasting Room is open 7 days a week – no appointment necessary! 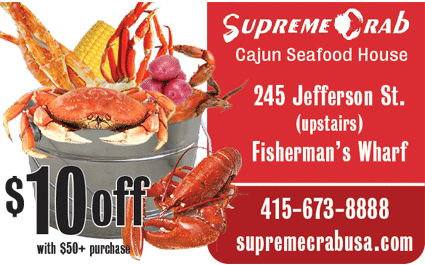 Please present the coupon to the merchant for your discount. Always call to verify availability, rates and times. Coupons have no cash value, are not for resale and cannot be combined with any other offer or discount. We check these offers regularly, please let us know if any of the coupons have expired. Tropical cocktails, spectacular Luau Lounge, light airy surrounds, a mouth-watering menu…sounds like somewhere you’d like to go? Then head on down to the Luau Lounge and Tiki Bar at Players Sports Bar for a taste of the tropics and get your hula on. Make it a fun party for the office crowd or an escape with the family. Free Luau Pie with the purchase of 2 entrees. Cannot be combined with other offers. Limit one offer per party.